Do you need a machine for effective metal cutting? Are you looking for a machine with high precision and clean cut for low costs? Exactly for you we developed a CNC plasma from type Raptor Beast. These machines boast of accurate fabrication and achieve the world class parameters. We demonstrate a typified offer for a cutting plasma Raptor Beast 30/15. Our target is to deliver machines fully adjusted to the customer needs. Our CNC Plasma Raptor Beast is unique before all thanks to the maximum possible accuracy, you need from such a machine. The cutting speed is outstanding mainly our own development and usage of Raptor burner and plasma source. We succeeded in the unique solution of cooling and already at the usage of basic elements such as air and water we can reach a wonderful clean cut similar to the laser quality. All this for a competitive low price. Each of our customers will receive the best value of the machine in the respective segment. Thanks to the high quality manufacturing our CNC plasma has a long-life durability, which is being prolonged by an appropriate maintenance. We are able to make our machine more affordable thanks to the financing we provide. We can produce a device of all requested dimensions and adjust auxiliaries for different types of production. We follow the necessary output of each machine and consequently we adjust its speed not to be exaggerated or on the other side insufficient for your needs. 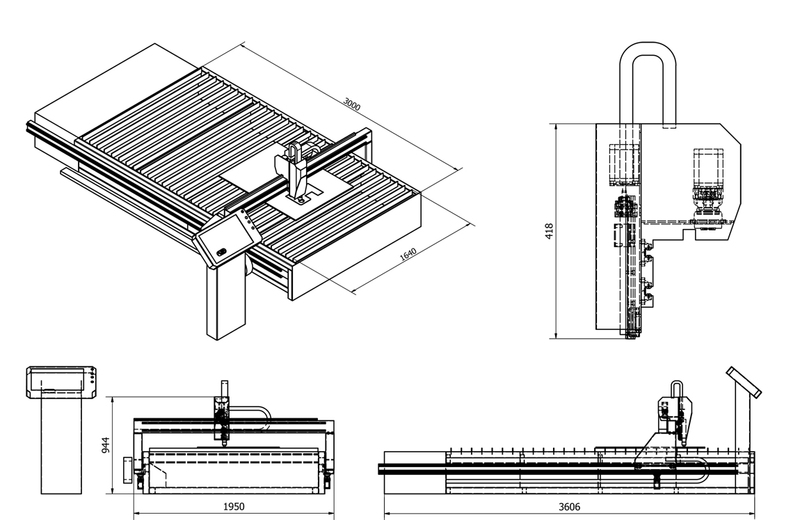 The whole process of the construction of CNC plasma meets your requirements. At this time the Raptor plasma belongs to the best in the market in metal plasma cutting. If you need a machine with the uncompromising cutting, visit our laser section. You can find all necessary information there and when you need to know more details, ask us any time. If you need a completely different computer controlled machine, which is not in the basic offer, visit the section customer made CNC machines and we shall produce for you a completely customer designed machine.